I’ve been writing on my blog for quite a long time now. I’ve been celebrating Writing Wednesday since February 2016 to be exact. This is post #97! And you know what? I’m really proud of it. It’s got a lot of great content and it looks good. But you know what makes me sad? That so far, it isn’t as far reaching as I’d like! I could put literary gold up on the site, but if there is no one there here to read it… its value diminishes. That’s why I’ve taken extra steps to make it even easier to access. Last week, with the help of my business coach Chynna Haas from 29Rebel, I added a subscription service to my blog. Just sign up HERE and each Wednesday when I post, my helpful and motivating words will arrive, almost as if by magic, to your inbox. I’ve also done a round up of a few posts I think you might be interested in… that you may have missed over the last two years. First up? My most popular blog posts ever! I’ll start with the first one, which came from the book Steal Like an Artist., by Austin Kloen. I know there are some people who would consider me boring, and I guess I probably wouldn’t argue. Maybe that’s why I’ve never really had trouble with getting work done. I’ll confess, this summer, surrounded by fun options and people who do not have to go to work or school… being productive proved a little more difficult. I often felt stressed that work wasn’t getting done, or guilty that I wasn’t hanging out with my family. I knew that situation was temporary, and now that the school year has started, I’m ready to set my vacations and afternoons at the pool to the side and be super productive (and boring) again. But I’m still in uncharted territory. For the first time in my life, my professional hours are not dictated by a strict bell schedule. A few days ago, on September 1st, I needed to officially start earning my own way. I have done a lot of things to make this opportunity a success. If you are thinking of quitting your day job to “go pro” in your creative pursuit, here are some steps that I took, that you may want to consider. In January 2017 I made the resolution to set aside 20% of my writing earnings into an envelope (Dave Ramsey style). I lovingly called this my “Go Pro Fund”. In a year and a half, I amassed just under two months of income. My plan was to have a pool of cash to pull from if I ended up short of my goal earnings at the end of the month. (Tip: Figure out what you make in your take home pay on a monthly basis from your day job. Use this amount as an earning goal as you move forward into self-employment.) When my computer unexpectedly crashed in July, my Go Pro Fund also acted as an emergency fund to replace this necessary tool without negatively affecting my family’s savings. This purchase was the first time I ever pulled from the envelope, and I did so guiltily, but how is a writer supposed to earn a dime without a computer!?!? The second financial step I took was to create a business bank account. It is where I have been putting the other 80% of my writing earnings. I use this money to pay for conferences, book orders, contest submission entry fees and office supplies. At this point, the account is not bursting at the seams, but it does hold a balance that will allow me to continue to pay for a few of these expenses for a while. This account will allow me to continue to operate as a financial benefit to my family, instead of a drain. I have also pre-paid the conference entry fees for events I am attending in September and October and have a healthy supply of (already paid for) books in my basement. (Let me know if you want one, or a dozen!) It feels good to know that my major financial obligations are covered in these first two months of my self-employed journey. Another important action I took was to diversify my income opportunities. I now am paid by Western Technical College, Big Shared World, Teachers Pay Teachers, KWiL Publishing, Amazon and events including in person book sales and school visits. At their varied income levels, one of these income streams alone could not sustain me, but at the same time, I am not reliant on any single company/employer/revenue generator to keep me afloat. Should one collapse or cease to exist, I could still press on and make it. I also worked to fill up my calendar, giving myself guaranteed money making events in the near future. You can check out my website for the fun word nerd events I have scheduled in October, December, February, March, April and June! And finally, I have a back up plan. On paper, I have earned all I need for the rest of 2018. BUT, if everything crashes and burns by January 2019, I always have the option of substitute teaching for $120 a day. It’s not ideal and it’s not what I really want to do. But I can, if I have to. It’s peace of mind, and mighty fine to have in my back pocket should I need it. Starts ups take time to grow. I know because I’ve been at this writing gig for 7 years now and am just now ready to take this leap. If you have any tips of your own to add, please share them with us in the comments below. If you have any questions for me on how I made it to this place, feel free to comment on this post or email me! If you are contemplating your own creative leap, I wish you the best of luck. With passion and planning, you can do this. I know it, because I have. What was once a dream, is now my reality. In between all of my writing and traveling, I did manage to read a few books this summer, and some of them were spectacular. I wanted to share them with you in case you are looking for something great to read as the weather cools down and we spend more time inside. Check out my list of books below, encompassing many genres, age levels and topics. Even though I won’t be teaching middle school this year, I can’t dump my love affair with middle grade and YA books. This summer, I encountered two amazing ones. Mark my words, this book will be willing all sorts of accolades come book award season. It tackles the really tough topic of racism, through the lens of the prison and media institutions. Set in a small town, this book tells the story of a real-life prison break, through the eyes of the Prison Superintendent’s twelve-year-old daughter, Nora. Captured in bits and pieces, this narrative is completely made up of letters, text messages, school announcements, newspaper articles, and recorded conversations. When Nora decides to take reporting into her own hands, many great ELA teaching components come into play including accurate quoting, reliable sources and the importance of doing research. Questions of prison and town demographics, reported incidents of prisoner abuse, stereotypes and societal rules arise as Nora digs into the events that are turning her town upside down. The final gem of the book is that Elidee, a newcomer to the town, reflects on her feelings via poems and song lyrics inspired by famous writers including Lin Manuel Miranda and Jaqueline Woodson. This book will inspire… inspire conversations, inspire activism, inspire writers and inspire friendship. I’m not kidding when I say dust off the Newbery. This book might get it. Bravo Kate Messner! Add it to your child’s bookshelf ASAP. This book is the sequel to the Newbery Honor winning book The War That Saved My Life. I will confess that it sat in my To-Be-Read pile for FAR TOO LONG. 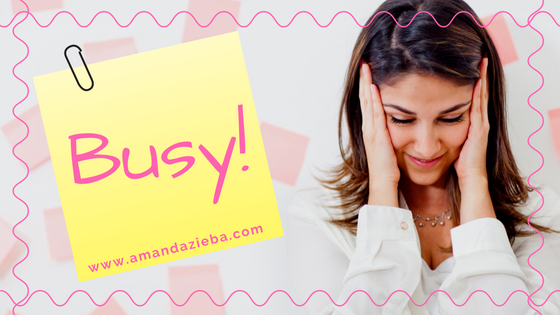 (Life is busy!) But once I picked it up, I couldn’t put it down. Ada is living through WWII in the English countryside with her brother Jamie, and guardian, Susan. The war permeates everything they do and attacks their personal lives from every angle forcing the characters of this book to push on, move on and live on… even when they don’t want to. Who is your enemy? Who is your friend? What is family? What is right? What is wrong? Lessons abound and so do wonders. Especially wonders of the heart. This book is a treasure. I admire Kimberly Brubaker Bradley for taking on difficult and controversial topics with a grace that makes them accessible for middle grade readers. Her words tug at my heart strings and pull me entirely into her story. This historical fiction at its best, and even though it is written for middle schoolers, readers of all ages will love it. (Both my mom and I did!) Head over to Amazon and put this one in your cart; you won’t be disappointed. Some of my favorite reading I did this summer, was with my boys. Whether in a tent on the deck, in the car, or just before bed, we were able to experience some fun stories this summer! My boys have a favorite author, and it isn’t me. (I get the coveted #2 spot.) #1 belongs to Johnathan Rand, thanks entirely to his series Freddie Fernortner, Fearless First Grader. When I returned home from a trip to Michigan where I was teaching at Johnathan’s young writer camp (Author Quest), I brought back the newest installment in the series. The Day of the Dinosaurs starts in a sandbox, but quickly travels to a land of faraway imaginings, many, many years ago. My sons love the adventures Freddie goes on, and the delightful illustrations that occasionally accompany the story. There is no hope of reading just a single chapter with this series. As soon as I read the last word, they are begging, for just one more chapter. If you have little boys in your life that are ready for chapter books, add these ones to your list! Your shelves are full of these, right?!?!? Make room for two more. Don't worry, they are small in size, but not in power. I mean, not entirely. I did read other books. These were just my favorites from this season. What did you read? What did you love? What's next on your list/pile? Comment below! I have been fortunate enough to attend three, four-day writing excursions this summer. Since leaving the full-time teaching world, my home office hours are mostly dedicated to paying gigs. But, on these writing retreats, I splurge, allowing myself to dive head first into my fiction work. This summer my fiction project is revising my YA Fantasy manuscript. As I’ve poured over these words (in some cases for the 3rd, 5th or 8th time!) I’ve learned a thing or two. Curious to hear my tips? Head on over to my friend, fellow Wisconsin author Valerie Biel's blog to read the rest of this article by clicking HERE. Then, check back here next week, and every week, for more Writing Wednesday goodness. Character. Without it, your story is meaningless. Your reader needs something to care about, SOMEONE, to root for, empathize with, and emotionally invest in. Two of my current fiction projects are demanding that my attention be focused on character, which got me thinking about how to better understand who my characters really are. How do you get to know someone you created in your imagination? There are plenty of activities and workbooks out there. And some of them are really great. Here are two I strongly recommend. The Proust Questionnaire started out as a parlor game in France as a way for a host to better get to know his or her party guests. You can find the list of questions here. It’s a great place to start when trying to figure out who your character is at the core. But I’d already done those. I needed something different. I needed to stretch my brain and take it to new places. So, I dug into my teaching materials and head and came up with the character creation activities below. Go ahead and try one, or all of them. Let me know what you come up with! What did you discover about your character? Did anything surprise you? What new quirk, talent, or flaw did you learn about the star of your story? Comment below or send me an email. I’d love to meet to the person of your brain’s creation. My sister religiously reads US Weekly. For years she got the subscription to it as a Christmas gift. Kind and generous sister that she is, Kate would often gift me her magazines once she was done with them. I didn’t mind being a week or ten behind on the celebrity gossip… I mostly just enjoyed looking at the fancy dresses. Inside the magazine there is a feature called: 25 Things You Don’t Know About Me. Each week they ask a celebrity to share several little-known facts about themselves. Try this with your own character. What little idiosyncrasies or preferences does your character secretly harbor? How can you bring those unique individual characteristics to the surface to make them memorable for your reader? If you find yourself stuck, do a google image search for “US Weekly 25 Things You Don’t Know About Me” and dozens of images like the one above will pop up. Use them for inspiration. Tim Gunn, mentor on Project Runway confessed in his edition that “few foods make me happier than French fries” and he had a terrible stutter as a child and teen. These two facts add layers of depth to a persona that to the world seems a polished and poised gentleman. Picturing Tim sitting in some diner eating French fries (probably with a fork) while listening to a diction podcast via Marc Jacobs earbuds is downright delicious. What character facts can you unearth and how can you use them? Thought-Shots are a great way to get into your characters head. The activity described below will help you add additional insight and character motivation to your story. Confused or want to see an example of this trick in action? Watch these video clips of the opening scenes in the movies The Hobbit and How to Train Your Dragon. Through the character’s thoughts we are treated to behind the scenes information, motivation and personal levels of understanding. Last week I was driving and saw a bumper sticker that said, “If you are what you eat, then I am fast, cheap and easy.” I immediately thought, Nailed it, that’s totally me. (For real, my diet is made up of Cherry Pop Tarts, Diet Pepsi and Mac n’ Cheese… I kid you not.) This small declaration on the back of a beat-up car spoke to me, defined me, and showcased a specific character trait all in 36 square inches. If you want to put your character into an interesting situation, try the activity below. Making our characters uncomfortable is one way to see how they will act. Do they crumble when outside their ordinary bubble? Or do they rise to the occasion? Are they feisty, passive aggressive or confident? Put them in hot water and find out. I’ve spent a lot of time in the car this summer driving to a variety of writing and family events. While in the middle of no-where Midwest I was struggling to find a radio station that matched my particular musical preferences. I wound up scanning through the 5 options (NPR, orchestral compilations, classic rock, old time country and religious talk radio) again and again and again. As I drove and thought and scanned I wondered who would actually enjoy listening to each of these stations. I mean, somebody must… they don’t produce them for no one! Mini character profiles sprung to mind for each station. Why not reverse engineer this process with the activity below? Use music to uncover hidden personality traits and style of your character. And finally, once you’ve completed a few of these, organize your thoughts into the chart below. Keep it handy so you can continually influence your story with characterization… instead of forgetting about it after you write chapter 1. You can use this chart two ways. I initially created it because I was struggling to decide on the kind of character I wanted to lead my new series. Boy or girl? Caucasian or a person of color? Sassy or witty? Outgoing adventurist or tech geek introvert? I used this chart to create three distinct characters, complete with strengths and struggles, clothing preferences and backpack belongings. I’m not certain I’ve made any solid decisions yet, but this certainly helped me on my way. The second way you can use it, is to record the character traits of several different characters in your story. This way you can remember who is a vegetarian and who won’t leave home without their bird watching bible. To get your free editable copy of this chart, click this link. Then go to file, make a copy. Once the new doc opens up, you can edit and save as you wish! Struggling? Just send me and email and I'll walk you through it! Alright, that’s it for this week’s Writing Wednesday! I hope found these activities helpful and that your brain is boiling with all sorts of new possibilities. Feel free to pass on this link to another writer you think might find it helpful, or better yet, do as my writing group did last week, and complete the activities with a friend. When you are finished, share all the good stuff you write with each other and give feedback on which traits most resonate. Good luck with your character creation and happy writing! Last week I spent time at a magical writing place called Cirenaica. I came home with 2 chapters solidly workshopped and revised, 2,700 brand new words, a bunch of word nerd friends and my very first literary award. Cirenaica, which in Uruguayan means “siren of the sea”, is the name of a cabin in central Wisconsin. The owner of the property thought the name would symbolize the alluring sensation writers (and other artists) feel when their work pulls them away from the responsibilities of their daily lives. I agree, it is the perfect name for a creative retreat, and can attest that it accomplished its goal. For the past three years this oasis in the woods has been rented by the Chippewa Valley Writer’s Guild. Each summer, for five weeks, a writer in residence and ten other word nerds gather for four days of writing, work-shopping, and camaraderie. The summer of 2018 retreat series has seen the likes of Nicholas Butler, Michael Martone, Lindsay Starck, Holly Hughes and Karla Huston. With Lindsay, author of Noah’s Wife, an allegory tale depicting a modern village’s trouble with constant rain and a flooded zoo, we worked to add tension to our novels and short stories in progress. Here were a few of my take aways from my time with this Augsburg MFA teacher. On the final night of each session, the retreat participants host a reading for the general public. After each writer shares their piece BJ Hollars, director of the Chippewa Valley Writer’s Guild, gives a few thank you’s and then, announces the winner of the coveted Toilet Seat Award. The award, created earlier in the summer when a writer went above and beyond to fix a cataclysmic bathroom catastrophe, is meant to honor a person who “embodies the spirit of Cirenaica”. And last week, that person was me! As I stood proudly before the small crowd, tightly clutching the unusual traveling trophy, I confessed, “This is my first literary award!”. You might be wondering, Amanda, how did you earn this prestigious honor? Let me tell you the story. We were moments away from dinner. Chef Michelle was making the final meal preparations, wine had been poured, the record player was rocking, BJ and Lindsay were tenaciously battling the wireless printer and I had an idea. Rather than sit spread out among the room, deck and kitchen for dinner, occupying random chairs and eating off our laps, I wanted to eat dinner with my new friends. All of them. At the same table. How could we spend our last dinner together scattered about the cabin and property? In my mind this simply wouldn’t do. I wanted us to be together. So, I set about gathering extra tables and instructed others to grab some chairs. Within just a few minutes, we managed to assemble an eating space large enough for all fourteen of us. And even though our presentation may not have done Martha Stewart proud, it looked great, with each and everyone of us sitting around it, together. Apparently this is the first time in three summers this feat has ever been accomplished, and because the retreat I attended is the last ever Cirenaica retreat, we dubbed this “the last supper”. For me, this picture exemplifies the magic of opportunities like the Cirenaica retreat. BJ had told me many times about the power of this place and the amazing things that happen here. And for me, the coming together, the creative community all at one table, is as magical as it can get. I am thankful the Chippewa Valley Writer’s Guild not only recognizes this form of magic but works diligently to create and support it. Thank you, BJ, not only for the award, but also for seeing my small action as something more than arranging furniture. Thank you also to the Chippewa Valley Writer’s Guild for the opportunity to be a part of your magic. I look forward to the next time I can write with you and create more of it. One of my favorite story elements is setting. Even though I don’t get to travel much in real life (it’s not really in the teacher-write budget!). Or maybe BECAUSE I don’t get to travel much in real life… I LOVE reading about far away places. And far away times too. This summer I read a book about a place not-so-far from home, Madison, Wisconsin, more specifically, the campus of the University of Wisconsin Madison. And even though I’d been there many times (Go Bucky! ), author Angie Stanton made it feel alive in a whole new way. In her book, Waking in Time, Angie tells the story of Abbi, a college freshman who quickly finds herself traveling backward in time. Unable to figure out why or how she travels, Abbi is thrust backward decades at a time with only her knowledge of campus architecture and fashion trends as markers in history. When she becomes her deceased grandmother’s roommate and best friend, and falls in love with a mysterious boy, her desire to figure things out kicks into high gear. I had chance to ask Angie a few questions about her award-winning book. See what this Wisconsin author has to say about her writing process, intriguing research and more in the interview below. Waking in Time is a mash up of historical fiction and science fiction? How did you arrive at this genre? Were you nervous about writing a story that crossed genres? I arrived in this place by accident. Truly. I don’t have a grand plan when it comes to my books. I write the story that my heart wants to tell. The fact that time travel happens to be considered the sci-fi or fantasy genre by some didn’t concern me. I wouldn’t consider it historical fiction either, but perhaps it is. The story has a very contemporary feel to it despite the fact the character travels back in time. Did you attend UW Madison? How did your personal experiences at college influence the story? If you didn't go to college at UW Madison, why did you decide to place your story there? I did attend the UW Madison, but not as a traditional student who lived in the dorms. My college education started at a tech school with an associate’s degree. After working a few years, I decided to go back to school, but by then I was older and commuted to campus every day. My experiences were quite different than Abbi’s. However, I did have a class in the large auditorium in Bascom Hall. I placed the story on the UW campus because of its long history. Many of the buildings date back more than 100 years, so as much as things have changed over the years, they’ve also stayed the same. The college campus almost seems like a character in and of itself. What steps did you take in your writing process to make the presence of UW so strong? There were a few spots on campus that I wanted the reader to really know and feel. Those included the Union Terrace, Liz Waters dorm, and Picnic Point. Crucial parts of the story happen in each of these locations. While I’ve spent a lot of time on campus over the years, mostly when we go to the terrace in summer to enjoy the lake, live music and libations, I did take a couple of “research” trips to Picnic Point and Liz Waters. I interviewed one of the resident managers at Liz Waters and took a ton of pictures of the iconic building. You can see some of these on my website. What tips do you have for authors who want to maximize the story element of setting in their writing? Because Abbi was alone without friends or confidants throughout much of her journey, I needed to use setting, fashion, and trends of each time to bring the story alive. My advice would be to immerse your character in their world, not just by description, but also weaving emotion and conflict into the setting. It almost has to be like another living breathing character. The relationship between your main character and her grandmother is so special. It was easy for me to relate because I often felt like my grandma was one of my best friends. Was this built on a personal experience? It actually wasn’t. I adored my grandmother (she lived to 102!) but I only saw her a couple of times a year. I’m glad you were able to relate to their close relationship of Abbi and her grandmother. It was pretty special to me too. I’m not a big fashionista, so other than the eighties, which I lived, there was a great deal of research involved. While Google played a major part, I also went to the Wisconsin Historical Society and met with the curator of costumes and textiles. She was able to show me actual clothing from various eras. She also suggested I look at old Sears and Roebuck catalogs from the eras I was working on. That was most helpful of all. If I were to pick an era of favorite fashion, it would definitely be the 1930s. The dresses were flattering and stylish. There were beautiful hats and gloves. The shoes were heels yet practical and comfortable. Even in old farm photos, the woman wore their chunky heeled shoes on a daily basis. 5 women listen to records in Liz Waters dorm in 1930. For more information about this image, contact the University of Wisconsin Madison Archives at uwarchiv@library.wisc.edu. Next up is the story of a girl who discovers she was stolen at birth, which I’m really excited about. To find out more behind the scenes information and inspiration for Waking in Time, visit Angie’s website. Once there, feel free to browse the rest of the site and check out what other great reads she has lined up for you. Personally, I think I’m adding Royally Lost to the top of my: To Read Pile. Why is Writing Any Different? Several days a week I go to the YMCA, around noon. As I walk around the elevated track, I watch the basketball games going on below. Each day around 20 people are gathered, making enough for 4 complete teams for two simultaneous games. The players are young and old. They are brown, tan, white and black. They are mostly male, but at least one woman is usually among them. There are buzz cuts and afros, dreadlocks and ponytails, and even a bald head or two. Some are decked out in Nike or Under Armor while others are clad in t-shirts sporting logos of their church/favorite team/company. Half of the players wear nondescript blue jerseys. These people, these ball players, run and dribble and shoot and score. They pass and shout and call for the ball. They smile and offer up high-fives and sweat. These people show up in the middle of the day, in a public space, to do what they so clearly enjoy. They will be back tomorrow. My question for you today is this: Why is writing any different? Why, when you spend time on your creative pursuit, do you feel the need to justify your time, energy, and expense? Why, are you asked by friends and family if your creative pursuit is financially rewarding? Why do other people get to hunt/golf/quilt/garden/fish/travel with zero societal pressure of success, but writers (and creators in general) are not afforded that same luxury? The answer should be, writing is not any different. But, if we are being honest, it is not viewed with the same lens. And if we don’t force others to realize that our free time is being scrutinized in a way that others’ is, it will never change. Schedule your writing time religiously. Ask your family to honor that time, guilt free. Take the class. Talk about your writing projects with your friends. Sign up for the retreat. Simply put, practice your hobby/craft/passion/whatever-you-call-it the way you see the rest of the world practice theirs. The answer is, it’s not... if you don’t let it be. Before my children were born I spent exorbitant amounts of time reading at my in-laws. Like hours and hours. I would also sleep a lot there… something about the amazing bed and lack of responsibilities, and the sleep inducing fumes we joked my mother in-law pumped through the house. It also probably had something to do with the fact that my in-laws often gifted me with books. In their house, on their couch, I could devour chapter after chapter, passing hour after comfortable hour, uninterrupted in a reader’s haven. But it wasn’t only books that I read at their house. I also occasionally picked up one of the many magazines to which they subscribed or the newspaper that came every day. The Star Tribune blew our little town, twice a week newspaper, out of the water. Entire sections were devoted to entertainment and travel. World Issues and more ads than any one shopper could truly tackle waited in a neat stack on the coffee table every, single, morning. In was in this grand newspaper that I discovered an article about Minnesota (formerly of Florida) author Kate DiCamillo. Side note: Kate is one of my favorites. Her words are purely delectable to consume. Heartwarming. Spellbinding. Imaginative, while also grounded in reality. And did I mention her word choice is to-die-for delicious? Ahhhh, Kate DiCamillo. A literary hero. A word nerd goddess in human form. Even though the article I’m going to tell you about was published 4 years ago, it impacted me so greatly that here I am, writing about it today on my blog. When I looked it up online to quote it correctly, the words were familiar. I believe this is mostly because of a conversation between Kate and another Minnesota author, Louise Erdrich, that was recorded in it. Two years later Kate published her Newbery Honor Award winning (and also debut novel), Because of Winn Dixie. She accomplished this award winning, life changing feat, approximately 6 years after she started seriously writing. When I first read the article, I had been writing seriously for three years. I knew that I wasn’t Kate DiCamillo. But neither did Kate DiCamillo three years before she made it big in the writing world. It sounds strange, but because so much of the writing industry is made up of shrouded-and-secret-conversations-behind-closed-doors-with-elite-individuals… or at least that’s how it often feels to me… I was THRILLED to have this tangible piece of a road map to success. Or, at least a piece of someone’s road map to success. Needless to say, I clung to it. I just had to keep writing. For three more years. If I kept at it, I could do it. Kate did. It is now 2018. 7 years since I started writing articles on Yahoo.com for pennies a click. 7 years since I started seriously working on my craft and a novel idea I’d first had 4 years before that. 7 years and 8 self-published books later. 7 years and over 80 blog posts later. 7 years. Now in 2018, I can say that writing makes up over half of my income and will continue to grow. 7 years later, in 2018, I can proudly say that I just signed my very first traditional publishing contract, with KWiL. See that mention about a geocaching series... THAT's ME! So for all of you word nerds out there despairing, hang in there. You can do this. It might take 6 years, or 7, or 28. But it can be done. It can be done by YOU. To help, here are a few more great pieces of advice I got from that fated article four years ago about Kate, via the wonderful Star Tribune journalist, Laurie Hertzel. If you are hungry for more of Kate DiCamillo’s work or advice, head over to her enchanting website. Until next time word nerds, hang in there. Keep writing. You can do it. I wrote those words 48 hours after leaving school for the last time. I had thought about writing in that new journal for days before I actually did it. At first I wanted to wait until school was officially done. I wanted to make my first entry a meaningful stepping stone into my new life, and I couldn’t do that with one foot still firmly planted in the old world. And then, when I was officially done, I waited some more. I wanted to write something momentous. Something important. Something memorable. I was waiting to see what my new life would look like. I was waiting to see how my days would unfold. I was waiting for a really big form of validation that eventually arrived, just slowly, like all things in the publishing industry. (THAT NEWS IS COMING SOON!). But finally I decided that I was done waiting. Nothing gets done if you just sit around and wait. And I am, if anything, a girl who gets stuff done. Here is my advice to you. All those lovely journals you’ve hoarded over the years, just waiting for the right story to strike you, the right occasion to present itself, the right words to record… pick one out, grab a pen and get going. I promise you that no matter what words you put in them, the journal will look better filled than empty. But it's not just the journals. So often people tell me... I will write when I retire. When the kids are a little older. When I have saved enough to take a sabbatical. When the school year winds down. When... when... when... WHEN??? Take an hour a week, or twenty minutes a day. Or a four day retreat. If writing is something you love to do, then just do it. Plain and simple. You can do it. Don't wait, write. When I was a kid one of my favorite days of the year was back-to-school-supply shopping day. It’s not that I was impatient to actually begin school… I just loved all of those fresh notebooks, full of crisp and clean pages. I couldn’t wait to get them home and use my fancy new pens to fill them with words. But inevitably, I would turn the cover, poise my hand over the blank page and… nothing. No ideas. Not a single one. I would settle for writing a few of my friends letters, detailing all of our plans for the upcoming school year and then… well, to be honest, sometimes I’d just write my name… like a hundred times. I wanted to write… something… anything… so, so bad, but I didn’t know what. Over the course of my adult life, I did just that. I tried new creative writing endeavors. until eventually ideas came to me even when I was not even looking for them. It’s amazing (and sometimes frustrating that I don’t have time for them all!). Sound appealing? Today I have prepared for you a creative writing prompt that will hopefully force you to flex your creativity muscles and also provide you plenty of fodder to fill the pages of your favorite notebook (new or not). Before we begin, I want you to imagine that the story we are going to create is like a meal. The final result will be something delicious we can’t wait to sit down and devour. Of course we know that before a roast beef dinner with sides of mashed potatoes and glazed carrots was tongue-temptingly-appetizing, it was first just a shopping cart full of ingredients - single items set for sale on a grocery shelf. The same is true for our story elements. So before we write, we are going shopping. The first item on our list is a situation. Randomly pick a number 1-6, or if you have a di handy, roll it, and record your number. Now, scroll down and see what situation matches your number. Force yourself to stick with your initial selection, even if something else looks appealing or seems easier. Remember, we are stretching our muscles, expanding our current skill set to include new ranges, topics, methods and techniques. Write down your situation and move to the next aisle. Browse through the images below and pick the landscape that looks most interesting to you. Keep in mind the situation you have already selected, it might help you make your choice. Quickly jot down the answers to these questions. Is your main character a male or a female? What is their most distinguishing physical feature? What is your character’s most distinguishing positive personality trait? What is your character’s most distinguishing negative personality trait? What is your character’s prize possession? What is your character’s favorite hobby? Okay! Now you have all of the ingredients for your story! Time to cook ‘em up! Use this random assortment of story elements to tell a story. It doesn't have to be long. Just jot down a scene or two. Then, sit back and admire your effort. A workout, and you didn’t even have to sweat (much)! The final project might not be the best thing you have ever written, but you can be satisfied knowing that you flexed your creativity muscles and created something new. The page is no longer blank and that in itself is an accomplishment. Bravo! If you are willing to share, I’d love to read your culinary story concoction. If you’d like more writing prompts, you can check out my Story Seedlings products, or email me and I can send a few more your way. P.S. I have a few spots in my Word Nerd Writing Workshop and Retreat taking place in August. You can check out all of the details HERE! Last week I had the absolute pleasure and honor to be an instructor at Author Quest, the definitive writing camp for young authors. This truly magical experience takes place in Northern Michigan and is lead by author extraordinaire, Johnathan Rand. Johnathan, famous for his scary middle grade stories in the American Chillers series, has created a creative oasis for young writers, by combining time and space to write with supportive mentors and a whole lot of fun and silliness for good measure. The four days I spent at camp, have risen up to be some of my favorite all year… and I can’t wait until I get to go back. To give you a little peek inside this wonderful word nerd world, I am going to share my insights and pictures of the week with you in the form of a Top 10 List. #10 – Notebooks are silently passed around the breakfast table and read between bites of pancake, because someone wrote a great story after campfire last night and couldn’t wait to share it. #9 – Writers are dressed in attire adorned by typewriters, dragons, author quotes and witty word-nerd phrases. #7 – Heated disagreements breakout during a giant-sized game of lawn scrabble, as campers debate the validity and existence of words played. #6 – Nap time is announced, and everyone cheers because they stayed up too late reading or writing under the covers. #5 – The entire day is structured around words. In four days I was able to add 2,000 words to a manuscript, edit 14 pages, read an entire book, teach 5 write-shops and STILL have time for a nap each day. #3 – You are jealous/intimidated/awestruck/inspired by the work being ready by an author at the campfire, and the writer is 10/11/12/13/14/15 years old. #2 - Writers of all ages and abilities gather together for some word nerd fun. #1 – You mark your 2019 calendar with the Author Quest dates because you can’t wait to go back!!! If this sounds like word nerd heaven to you, and you'd like to attend Author Quest, you can check out more information and find the application HERE. Thank you to Johnathan Rand for the invitation to be a part of his magical camp-world, and all of my new writing friends for an incredible week. Write On!!! My 7th grade students recently completed an integrated unit that combined their English Language Arts skills with environmental science content. I’ve always tried to be green and love that through this unit we were able to help the kids to see the powerful impact their daily choices make on our planet. This summer I am going to try and put my money where my mouth is and make several small changes about our household habits. We already tote reusable water bottles and reusable coffee cups. I am vowing to reinstate our use of canvas bags instead of using 20 plastic ones each time I go to Target. I already recycle the little cardboard toilet paper tubes and carry home recyclables when the option is not available in public. But there is more I can do. Our planet deserves better than what we are doing. Here’s how I am going to help. We drink smoothies and protein shakes on a daily basis at my house. 4 people x 4 shakes x 7 days a week = 28 straws a week x 12 weeks of summer = 336 straws. This doesn’t count straws that might be used for lemonade or chocolate milk or cocktails. Plastic takes hundreds of years to decompose. Some researchers claim that every piece of plastic ever created is still on earth and will be for many, many more years. This was news to me. So, a few weeks ago I purchased two sets of reusable straws, one set of plastic, one set stainless Steele, from WalMart for $8 total. Using these new straws will decrease the plastic waste my household is creating. I believe that in a few years, plastic straws (and bags) will be outlawed, and when that day comes, the Zieba’s will be ready and on board. I am going to click the little box on Amazon that says send in least amount of packages possible. It’s not so much about the cardboard packaging there… as it is the gas used to transport the multiple packages! Sure, I might have to plan ahead a bit and dig deep to find a little extra patience, but I think this it is a small price to pay. Right?!? We are adding a second rain barrel to our gutter system this summer. Each barrel holds 50 gallons of water. That’s 100 gallons of water to use on our plants. 100 gallons that do not need to be run through the city’s water system. 100 gallons we don’t have to pay for. 100 gallons, multiples times a summer. Did you know that 50 million pounds of toothbrushes end up in the landfill every year? Don’t feel bad I didn’t either. I also never thought of recycling my toothbrush. There is a solution to this. Bamboo toothbrushes. By using a toothbrush with a handle that is decomposable, you can do your part to decrease the plastic waste in this world! You can even get some to try for FREE right here! Alright. That’s it. My list of what I am going to try. What about you? What steps can you take? Tomorrow is my last day of full time school. Since the Fall of 1987 I have spent five days a week, nine months a year, at school. Eighteen of those years were as a student, twelve were as a teacher, and three were both while I earned my Masters Degree. I estimate I have had 85-90 teachers over the years and taught more than 1,000 students. Needless to say, education, whether as a student or as a teacher, has dominated my life for quite some time. Really, education has been the dominating presence and force OF my life. But when I wake up Friday morning all of that will change. Sure, I will still be teaching a few classes at Western Technical College starting in the fall, but for the most part, life as I have known it for the past thirty years will change. This upcoming change has prompted a lot of conversations… many with myself. Some of the conversations involve letting go and saying goodbye. Some of these things I am sad to leave behind. Others I can’t leave in the dust fast enough. But the end of this week is not all about goodbyes. Many of my internal conversations focus on the hellos I will soon by saying. Saying hello to taking a chance, to taking the leap into my dream career. Five years ago, I told myself that when my youngest went to Kindergarten and we no longer had to make obscene-mortgage-sized daycare payments, I could change careers and become a full-time writer. I’ll confess … I stated this plan often, to many people, and I worked with every intention of achieving it. But I wasn’t always confident I’d be able to pull it off. An ugly school year, one that made me take a self-imposed swearing sabbatical, altered the path of my goal. 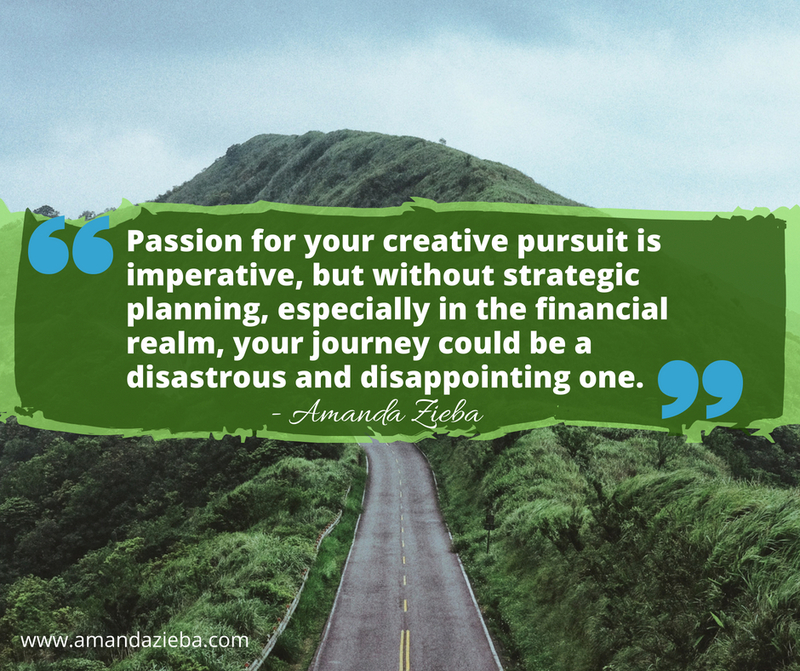 I used to think I needed a plan that would meet our family financial needs. But what I ended up needing more of was a work space that was not damaging to my mental health. Ready or not, it was time to leap. This path has been more bittersweet than I would have pictured or hoped for, but the end result is the same. Tomorrow is my last day of school. Thankfully I am in good hands and God had all sorts of good things lined up for me. Several relationships and contacts I’ve been building suddenly bloomed, leaving me a solid bridge to walk out on. As of Friday I will be a (mostly) self employed writer. A life long dream and five years of hustle will be achieved. I think that on Friday morning I will wake up and say to myself, that despite everything else, I feel pretty damn good. We hold our favorite stories and their creators in high esteem, putting them on pillars of achievement and enjoyment that is difficult to match. Those of us who wish to join that world by tossing our hat into the ring as writers, often have visions of what this world will look like, feel like, be like. In our day dreams, the literary world is one that appears shining and glittery. But the real thing, sometimes isn’t as fabulous as we had hoped. No, banked on. The Literary World, from start to finish, is a crazy beast. Often lonely. Often disappointing. Often heartbreaking. Take it from writer Tom McAllister. But for those of us who, as my friend Miranda says, “have the sickness”, refuse to give up. We just HAVE to be a part of this world. Never fear. There are many ways we can make the literary community one that is a welcoming, inclusive, happy place. Jane Friedman defines literary citizenship in this way. The activities Jane mentions are things we can all do. Easy things. Simple things. Quick things. But, they take a little thought, a little extra planning and sometimes a little extra cash. For example. My schedule is always BUSY, but a couple of weeks ago it was insane. It also just so happened that three literary events were set to occur in my town. (That might not seem like a big deal to you, but it’s a decent amount for our city of 70,000 people.) I chose to be a literary citizen and go to all three. First, I took my sons to an author visit at the public library. We spent an hour laughing our heads off as we were entertained by picture book author Aaron Reynolds. My sons each got a new book (I got one too!) which were eventually autographed. They also got to ask questions of a living breathing author (you know, one who doesn’t live in their house). The evening was a hit. A few days later we went to Barnes and Noble where a former teacher I had worked with was selling and signing his science book. Again, the boys were treated to books, autographs and questions. They also discovered the joy of author SWAG and walked away happily with bookmarks and cool, handheld science toys. The third event I attended alone. Again, back at Barnes and Noble. This time for a signing by an author-friend from my writing group. I had already purchased two of her books and didn’t need another, but holy macaroni… a signing at Barnes and Noble!! This is a big deal. A dream come true for many writers. I couldn’t not show up! So, I went and took my friend a new pretty notebook (she had spilled something on hers last week and I know I couldn’t live without one…). I gave her a hug and chit chatted with a few others for about ten minutes and then left. It wasn’t much, but I guarantee you she appreciated it. I know I would have. By the end of the week I had four new books, two very happy boys, shown my library and local bookstore that I value their event planning, supported two local writers, spent $75 to boost the literary economy, spoken to a “big deal” children’s book writer, and enriched the lives of myself and my children. Not a bad week as a literary citizen. I truly believe that my choices made the bookish community, as Jane called it above, a better place. “It starts with a mindset, the idea that the rising tide lifts all boats. If you can believe this--and you can look beyond the petty jealousies that distract from the work--then you're already on the right track. At the Guild, we like to say, "give your gift." It's our way of acknowledging that everyone brings a different skill set and specialization to the wider community. Are you a marketer, a fundraiser, an editor, a connector, an organizer, a planner? Whatever your gift is, give that!” – B.J. Hollars, Director of Chippewa Valley Writer’s Guild and author of The Road South: Personal Stories of the Freedom Riders. “Supporting fellow authors is what keeps ME going! The act of writing can be lonely, yet all around the world, on their own computers, are these brilliant people who are all working with their own stories, trying to create a compelling narrative to connect with people through their work. When I meet fellow authors, especially at writing conferences, I feel such a deep respect for their ongoing efforts - often in the quiet hours of morning before leaving for their completely unrelated day job, or in a quick window of time between family and life responsibilities. I am so in awe and inspired by the individuals who identify as authors, and am thrilled to support them! I say my bookshelf represents my ideal self, with all the topics I would like to learn and stories I would like to know. I'd never have the time to read everything I buy, but I love to support the work of the brilliant authors who write the books!” – Colleen Waterston of Big Shared World and author of forthcoming book: Big Shared World. So what do you think? Is literary citizenship for you? Ready to make the book world a better place? Come on! Jump in! Comment below with your own ideas on literary citizenship or let us know about events you’d like us to participate in! Happy reading, happy writing, and happy engagement/playing/vising/purchasing/showing-up to you! I was recently tasked with creating an endearing, memorable character. Quirky. Smart. Ageless. Not a big deal, right? As writers and readers beloved characters constantly surround us. We wear their faces on t-shirts. We decorate our offices with beautifully designed posters featuring their words. We use them as viable comparisons to real human beings in our every day lives. We wish they were our friends in real life and sometimes, it even feels like they are. Hermione Granger. Sherlock Holmes. Scarlett O’Hara. Atticus Finch. Pippy Longstockings. Jo March. No biggie. I got this. Endearing. Memorable. Quirky. Smart. Ageless. Yikes. I immediately found myself lacking confidence, so I scurried to the library to scrounge up any and all titles comparable to my task. After I read. I emulate. For this particular task I used Kate Di Camillo’s formula. Her voice. Her style. My words will not stay this way. Eventually I will make them my own. But for now, while I am learning… I will write like Kate. This practice has given me a solid ground to stand upon. A place from which to grow. Grow my confidence. Grow my character. Grow my story. Here is another character exercise you can do. The task of creating a character… a living and breathing creature… whether human, animal or mythical beast… out of two dimensional ink on blank white paper is a tall order. To figure out how this being looks, thinks and acts is truly a magnificent feat. So try this. Think back to a moment in your life. Something recent is best. Maybe something that happened this week. This event does not need to be significant or important, only memorable in detail to you. Once you have selected an event retell it featuring yourself as the main character. The twist? Tell it in the third person. Insert all of your physical sensations, your thoughts, your words, your emotions, your actions. Write as if you are the narrator of a story in which you play the leading role. It will not be difficult to surmise what the character is thinking. You thought it! It will not be hard to invent the taste of the wedding cake or to know if the frosting was fondant or butter cream… you ate it! The sights of your drive to work will be easily recalled. The sound of your grandmother’s voice on the phone, familiar. Every detail is known to you. Use those collected tidbits of memory to tell a story. 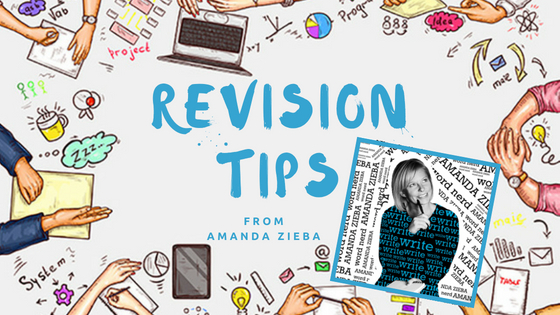 Now it is doubtful that this event will end up magically working into the plot of your manuscript in progress, but this isn’t about directly improving or extending your manuscript. The act of inserting details is practice. By thinking about the knowable details of your own life and experiences, your character’s life will be unearthed. The sights, sounds, tastes, textures and smells of your character’s fictional world… the aspects of their lives that make them feel real, will come to the forefront of your mind. They will be seen. They will be known. And you will confidently be able to commit those details to the page. You will be able to use these details to make your character endearing, memorable, quirky. Amanda woke up to the sound of giggling little boys. After pulling on shorts and a sweatshirt, she walked out into the living room to find three of them huddled under blankets on the couch, their eyes glued to a tablet where some game captured their full attention. A fourth little boy, clad only in underwear and slippers, sat at the kitchen counter eating dry cereal and watching cartoons. The rest of the house – her husband and all of the visiting adults along with the two youngest cousins and the teenager – were still soundly sleeping. Amanda looked at the flashing notification on her phone and smiled. If she were quick, she might have time to return the call before the others awoke. She made a single serving of cappuccino and then padded quietly out to the deck with her phone and steaming cup in hand. Evidence of last night’s storm met her just outside the screen door. The bench and even the wooden floor boards were too wet for her to sit on. She abandoned them in search of a drier place to talk. Back in the house, she tiptoed past the kitchen hoping to avoid a breakfast request. She put a silencing finger to her lips when she made eye contact with one of the boys, and smiled as his eyes returned to his screen. When she pulled the front door closed behind her, she knew she was home free. Out on the sun-soaked driveway she sat down and stretched out her pale legs. The warm pavement felt ridiculously good against her bare skin and she sighed with contentment. Amanda put her coffee cup down on the driveway and pushed the green call button on her phone. It rang only twice before her sister picked up. “Still on your morning walk?” Amanda asked. The sisters spend the next half hour enjoying their conversation and the sunshine. It was a lovely way to start the day. Do you love her (me)? Amanda might not be memorable or endearing yet, but at least we know what she desires, and the steps she will take to get there. We know what she enjoys and what items and people occupy her world. This is a step in the right direction. Want to give it a try? Get out your notebook. Grab your favorite pen. And start writing. No one will tell your story, the one that lives inside your head, but you. And in order to do that story justice, to tell it in a way that is endearing and memorable, will take a lot of work. Why not get started now? I didn’t really understand THEN. But recently, it has become CRYSTAL CLEAR. Let’s take a look at my schedule this week, for example. On Monday I have a Wwink Board Meeting from 4:45-6pm and a critique group meeting from 6:30-8:30pm. On Wednesday I will leave at 5:30am to travel to Eau Claire for a school visit and follow it up with a workshop facilitation for the Chippewa Valley Writer’s Guild. I will return home around 11pm. I’ll work at my regular teaching job Monday, Tuesday, Thursday and Friday. I am secretly thankful that a publisher (eek! A REAL publisher!) has not gotten back to me with feedback on the next stage of our project because I have no idea when I would be able to work on it… until Thursday, that is, if I am still vertical and forming coherent verbal (and/or written) sentences. There are book signings in town Tuesday and Saturday this week that I would like to attend, for literary community civility, and also connection making opportunities. In my family we often say, "busy is better than bored". I think this week I'm going to nail that sentiment, in spades. Don’t get me wrong. These are all good things. This is all good stuff that is in the works, but it requires TIME. Time enough that I do not have. I cannot wait until June when I get to make my LEAP. It will be work to structure my time for writing (and writing related tasks) while everyone else is home. It will be an adjustment for all of us, but I owe it to myself and to my family to do this well. It is a challenge I am looking forward to tackling. Until June I will continue to carve out whatever time I can to get the job done and realize that for a while longer life is going to be very, very, busy. But my hope, is that when summer comes, and school is done (for good for me!) that I will settle into a time that is not quite so busy. I hope that life will balance out a bit, and that I will be able to breathe a bit easier. But if not, I will remind myself that busy is better than bored and be thankful for all the work that is coming my way. I write letters to authors. It’s one of those geeky facets of my word nerd life that I think is cool, but I’m sure others envision as sheer boredom. I prefer pen and paper letters, but sometimes snail mail addresses are not shared, so email has to do. What is amazing about this act of correspondence, is that many authors actually reply. My students used to do an author research project that included a letter component. After researching their chosen author for a few weeks students would write thoughtful letters that included questions deeper than, do you have any dogs? Or, what is your favorite color? I’d mail out the letters just before we left for Winter Break, and then all Spring we’d be treated to bits and pieces of author mail. Generous authors would reply with postcards (Kate DiCamillo), handwritten letters (Brian Selznick), bookmarks (Andrew Clements) , or pieces of paraphernalia of their past lives. Middle grade sports author Tim Green sent students autographed football cards from his days as a linebacker and defensive end for the Atlanta Falcons! Rachel Renee Russell of the Dork Diaries series sent us a book, each and every time we wrote her. (Thank you, Rachel!) Anthony Horowitz’s letters arrived with a cool par avion stamped across the front, and knowing the letter came across the ocean from so far away, made it even more special. Some authors, like Johnathan Rand go all out and send all sorts of cool swag like word search books that feature their character’s names and settings. Some authors are too busy to respond personally, but “their people” send a lovely note, complete with a computer-generated autograph. (J.K. Rowling) . Gordon Korman, Cornelia Funke, Mary Amato … along with all of those listed above, blessed us with their time and words and I am eternally grateful. No matter what type of response we received, my students were always fired up… which usually resulted in more author-hero-worship, and ultimately more reading. It’s easy to see why I liked (adored!) this project, right?!?! In fact, it yielded such good results that I started doing it on my own. Sometimes I would be in connection to an interview for my blog, other times because I had a question for the author, and sometimes it was just plain fan mail. Helen Frost, Wendelin VanDraanen, Lisa Papp, Deborah Hopkinson, Polly Holyoke, Jennifer A. Nielsen, David Meissner, Mark Parsons, Jennifer Donnelly and more! My list is always growing. Every once and a while I come across an author who’s address (email/snail mail/Facebook Messenger/EVERYTHING) is unattainable. I’ve even gone so far as to look up their agent or publisher’s address, but sometimes, even then they only entertain mail for media requests. So, in an act of desperation, or maybe a more positive spin – persistence, I am sending my letters to these inaccessible authors out into the universe. Maybe if the blog post is shared and passed around enough, it will eventually reach them. If nothing else, I will know I have tried. So here it goes. My first letter is to Ernest Cline, author of Ready Player One. For the entire duration of Ready Player One, I was obsessed! I usually use audiobooks to distract me while I exercise or fold laundry. Ready Player One has inspired me to have the cleanest house on the block and walk more steps in a few weeks than I had previously attained all year. I would find myself inventing silent chores, driving around the block to finish a chapter before I got out of the car, or adding five minutes to my pre-lunch walk… just to find out what happens next. Bravo. You made the unpleasant chores of my life enjoyable! Congratulations! This is a huge accomplishment! I think part of the reason I loved your book so much is because of your epic world building. You took a place that was familiar and made it feel foreign. You assigned new rules within a scaffold and structure readers already knew and made our world intriguing and exciting. You also designed an legendary treasure hunt that was irresistible to follow. Have I improved my status enough to ask a few questions? I’m hoping you’re still reading and agree yes! On your blog and in your bio, you note your extensive nerdiness. I’m curious. Was there anything you had to research for this novel, or did all of this knowledge come from personal life experience? Your second book Armada is also about videogames. Are you nervous of becoming knowns as “the videogame author”? (Not that there is anything wrong with that… I don’t enjoy videogames at all and I loved your book!) Are there any other topics of which you are an expert that you consider writing about? Are there any topics of which you know very little, that you’d like to learn more about in order to write about them? I think it would be amazing to apply your imagination to a novel that takes place on a movie set and readers have to figure out where filming stops and reality starts. Or maybe your character is from the far future and happens upon a museum full of the pop culture items you love so much and chooses never to leave, to always live in the past. I dunno. But please… keep writing! But, I’m wondering, did you have a second purpose? Were you maybe trying to inform us that escapism will really kick us in the pants if we let it go too far? Were you maybe trying to persuade us to care a bit more about environment or we’ll end up living in a burning wasteland? Was any of this novel a social commentary on the state of our current affairs? You can totally say no and still be the author of a phenomenal book. It’s okay if you want this book to be surface level entertainment and nothing more. But, I’m curious. Is that all you meant it to be? And if your answer is no, there is meant to be something more there, what would you (in your perfect, overlord of the universe status I’m giving you right now) like us to do? And of course, I’d kick myself if I didn’t ask… will there be a sequel to Ready Player One? P.S. Because of you, asshat is my new favorite descriptor. Who would you write a letter to?